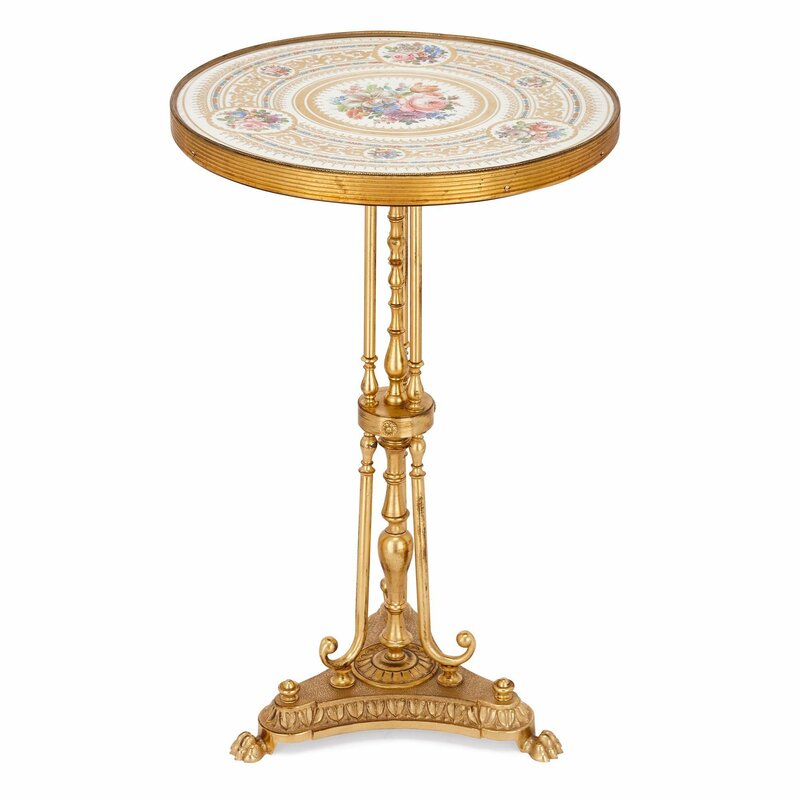 This antique round side table, or gueridon, has a beautifully decorated porcelain top, hand painted with flowers, with exceptional precision and detailing. The table top is made from porcelain, which has been parcel gilt and very finely decorated with depictions of bouquets of flowers. 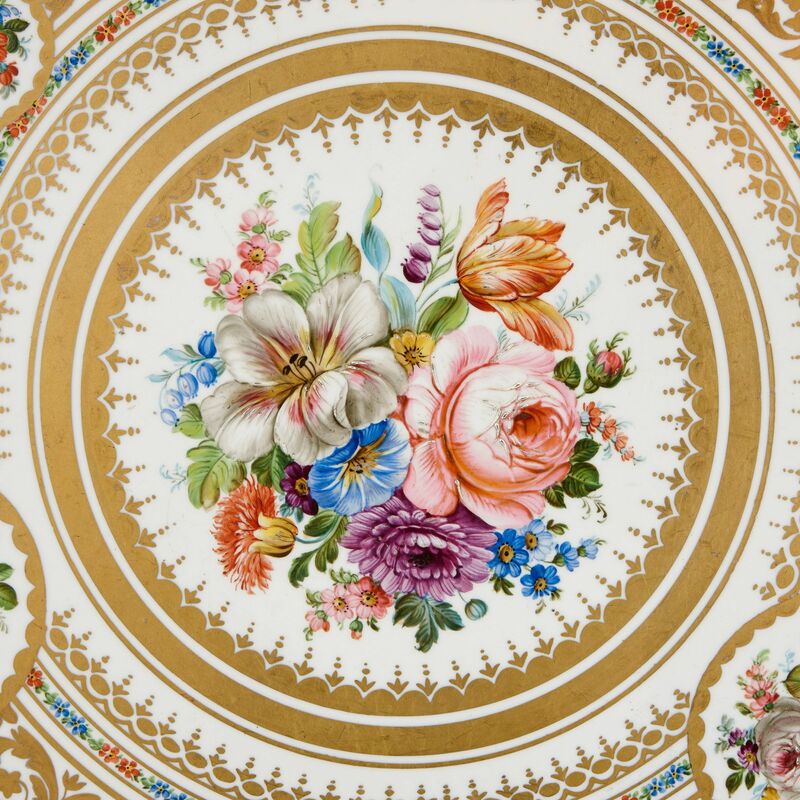 The central roundel of the table shows a large still life depiction of a bouquet of flowers, around which there are bands of gilded and red and blue floral decorations in concentric layers, all on white ground. 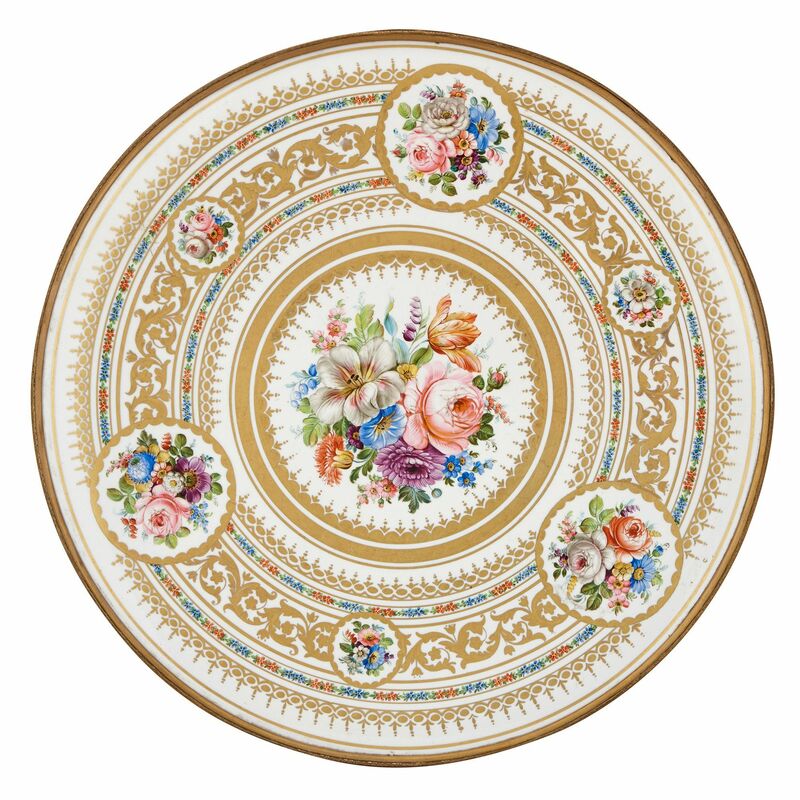 Around the outside, there are six further roundels showing floral bouquets, separated by bands of gilt foliate motifs. 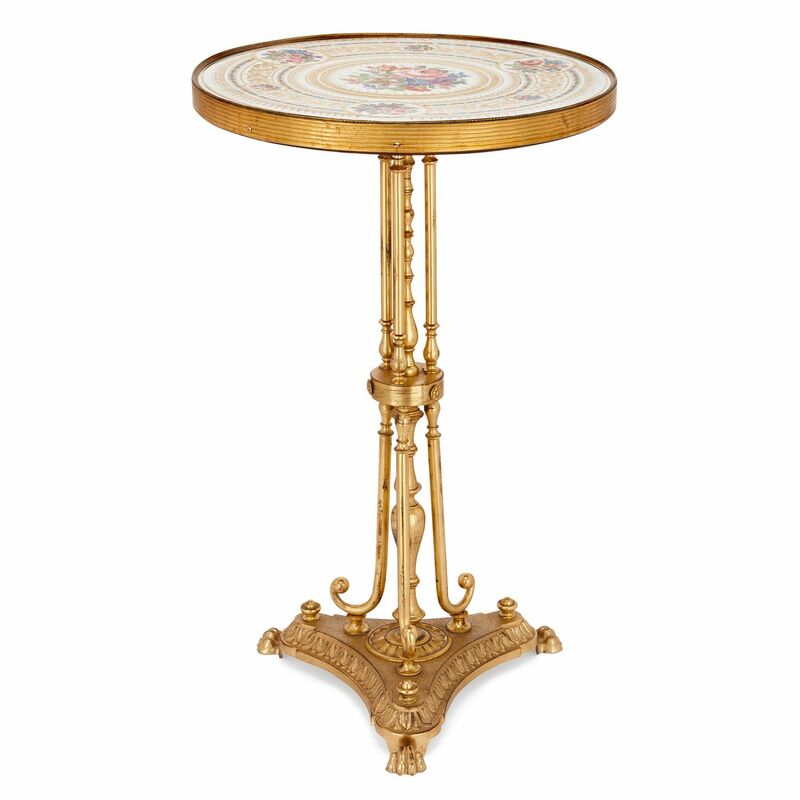 The table top is supported by a central gilt bronze baluster with three scrolling supports around, and a central platform. 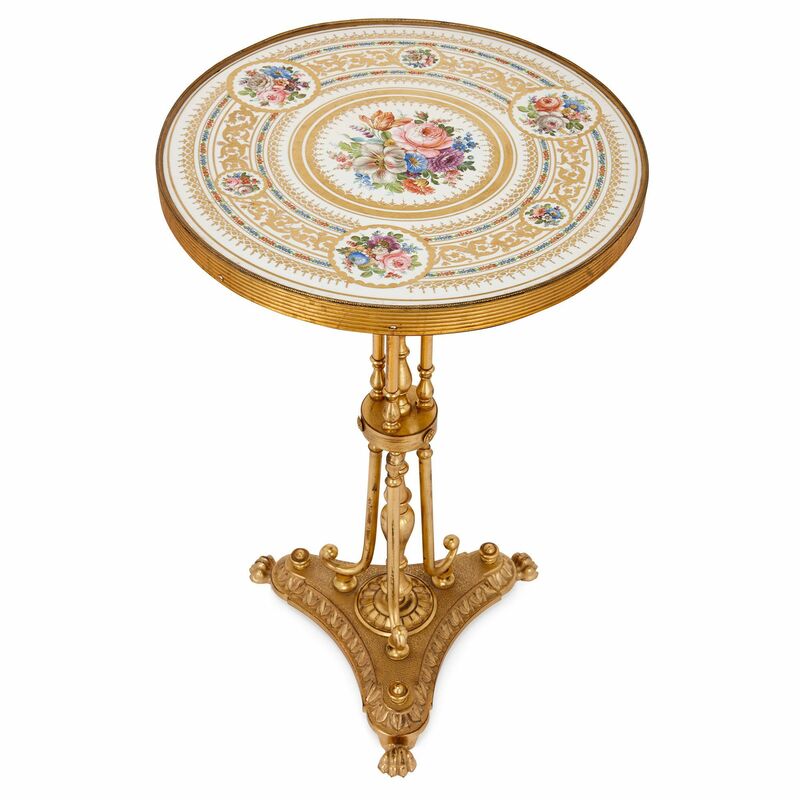 It is set on a curved triform base on paw feet.